This Internet thing will never catch on. : Remote control of your radio via "CAT"
Remote control of your radio via "CAT"
I've moved into a new house. The only room in the house conducive to radio is a conservatory or sun room at the back of the house. But It's not ideal for all the trappings of ham radio and so I looked into some sort of remote control over my house data LAN from my study in the attic. I'm not going to document here what I did but I used Ham Radio Deluxe on a small footprint Windows PC and was able to remotely control it with HRD installed on my Linux box. It all works like a dream. 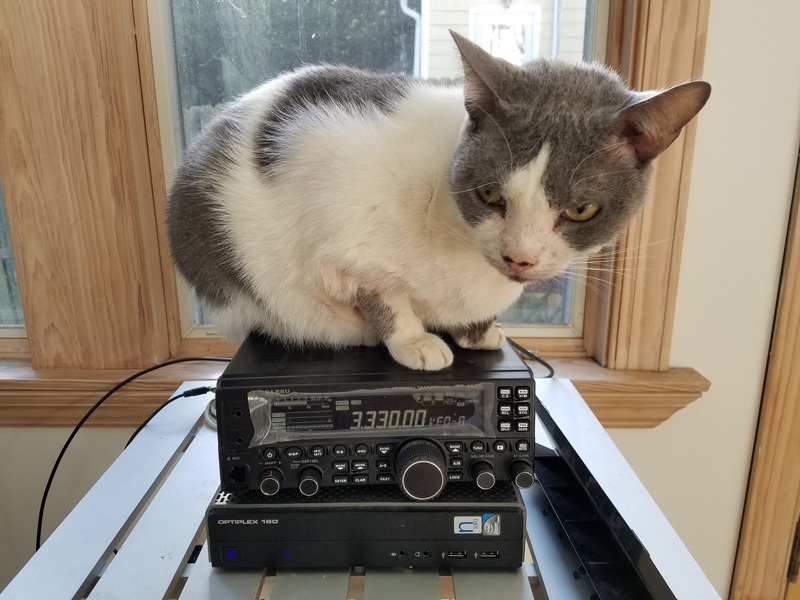 It uses something called CAT or Computer Aided Transceiver which is just a fancy way of saying that the computer can control the radio. Well, works like a dream might be a bit of a stretch. It _was_ working like a dream. Then suddenly it stopped working. So I descend the 3 floors down to the sun room only to discover that the radio was being controlled by a different sort of CAT. Meet Elvis. He likes to sit on electronics. I assume it's because they get warm?